Heidelberg repeatedly presents itself to observers and visitors in a new guise. In the interplay of light and shade, sun and clouds, mist and fog patches, the city on the Neckar reveals to us a host of different facets, depending on the time of day and the season, the viewing angle standpoint. Heidelberg appears to the onlooker now romantic and dreaming, as once described by the classicists, now pulsating full of life and turbulent, and then again down-to-earth, innovative, forward-looking, although no less fascinating for all that. 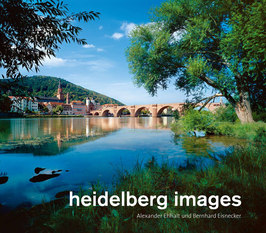 This illustrated volume provides some insights into the variety of Heidelberg, with many impressive views, intimate encounters and surprising discoveries. This special edition presents a selection of the most beautiful photographs. The classically designed book equipped with exquisite materials reflect the unique spectrum of contemporary panoramic photography.